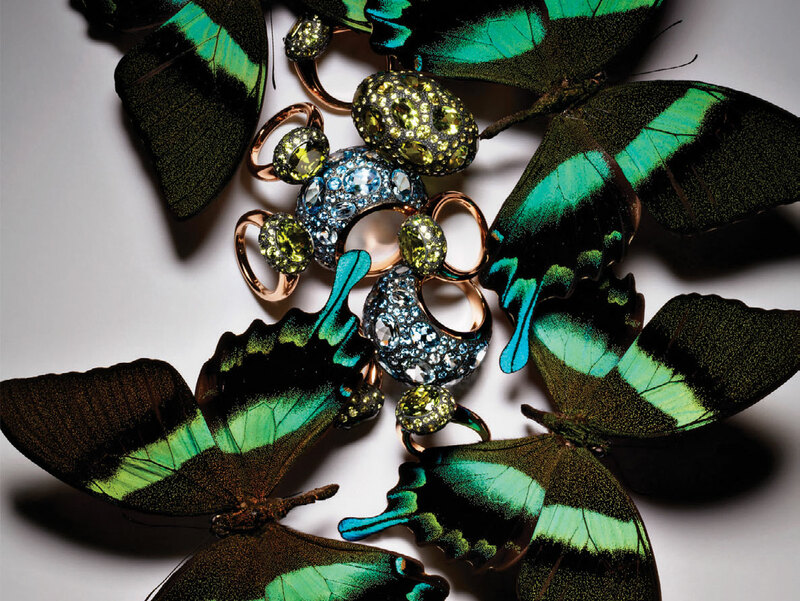 Pomellato celebrates its 50th anniversary with the launch of a book showcasing the timeless power of its stunning jewelry. How’s this for a fabulously fitting partnership: Iconic Italian fine-jewelry house Pomellato has teamed with ultraluxe publisher Rizzoli to create a gorgeous biography of the house for its 50th anniversary. Titled Pomellato: Since 1967 ($75, rizzoliusa.com) and featuring text by Sheila Weller and Giusi Ferré, the book immerses readers in the rich history of the brand, illustrating a surprisingly strong throughline from its founding to today. Established in ’67, the label was created for women who wanted to buy jewelry for themselves in an informal spirit, both for self-gratification and self-empowerment. This made Pomellato one of the first brands to inventively merge fine jewelry with the casual air ushered into the fashion world by the introduction of pret-a-porter by Yves Saint Laurent. Fast-forward half a century, and that same sense of ease has only grown more expansive, as the label continues to lead the industry in luxuriously carefree jewelry. Pomellato: Since 1967 beautifully tells the story of the house, blending sumptuous fashion photography from the likes of Herb Ritts, Helmut Newton and Peter Lindbergh with elegant detail shots of the house’s boldly hued, rounded jewels and streamlined yet bohemian gold pieces set against emblematic pop art and historical images from the time of the brand’s founding to illustrate a stunning visual history of inspiration. In 208 pages, the house’s aesthetic is gorgeously defined, showcasing the iconic Tango and Nudo collections along with the careful pavé of the Sabbia, the modernity and edge of the Victoria, and the colorful contrasts of the Capri collections, demonstrating both the jeweler’s longevity of style and its impressively dramatic range.